Nextel’s life in this world can now be counted in days, and AT&T(s t) smells the blood in the water. Ma Bell is making a bid for the remaining million customers on Sprint’s retiring iDEN network by replicating Nextel’s most appealing service on AT&T’s most popular smartphone. AT&T said on Monday it has started offering its enhanced push-to-talk (PTT) services on the iPhone 5(s aapl) and 4S through an iTunes app, though it’s only available to Ma Bell’s business customers for now. 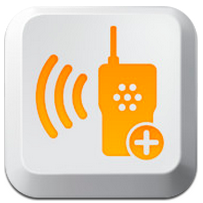 For those of you unfamiliar, push-to-talk functions like a walkie-talkie radio, allowing you to instantly communicate with a similarly enabled phone, rather than initiate a phone call. The service was a big selling point on Nextel, and later on Boost Mobile, particularly popular with blue-collar workers and the younger crowds. Other operators have launched their own IP-based PTT applications, but they’ve been able to match Nextel’s success, largely because of the peculiarities of the iDEN. Motorola(s goog) used its public safety communications expertise to build PTT directly into the iDEN’s core infrastructure. That close integration meant Nextel’s service routinely beat out its competitors in call set-up times and call quality. But on June 30 that network goes dead, which has led many carriers and developers with competing PTT apps to put their services forward as alternatives. Sprint(s s) offers its own CDMA-based PTT service, called Direct Connect, and managed to lure many of its Nextel and Boost subscribers over to the Sprint side of the business. But at last count Sprint had 1.3 million iDEN customers remaining. Other operators probably feel the playing field is being leveled, making this summer the perfect time to go after PTT users. Whether AT&T’s iPhone support will lead to a big boost in customers using PTT remains to be seen. While the iPhone isn’t exactly the ruggedized handset you’d expect to see used by construction workers and field technicians, the iPhone has become popular in almost every mobile circle. With bring-your-own-device (BYOD) trends gaining steam among enterprises, this could be a good way for businesses to hook one of the most popular phones among their employees to their PTT communications networks. AT&T also announced on Monday that all PTT users will now be used over Wi-Fi connections, including its 32,000-hotspot Wi-Fi network. Wi-Fi support means phones can take advantage of stronger WLAN signals indoors, increasing chances of establishing and maintaining a PTT session. This won’t be the only iPhone news we’ll likely see today. Apple’s(s aapl) WWDC is kicking off right as this post goes live. Many Nextel customers have moved to alternatives like Zello because they are easier to setup and use and they work on any carrier and most smart phones. Great move. StoryLeather offices like this idea as we are on the go alot.